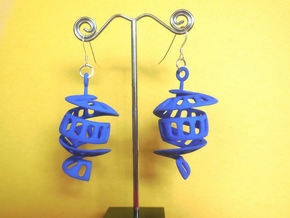 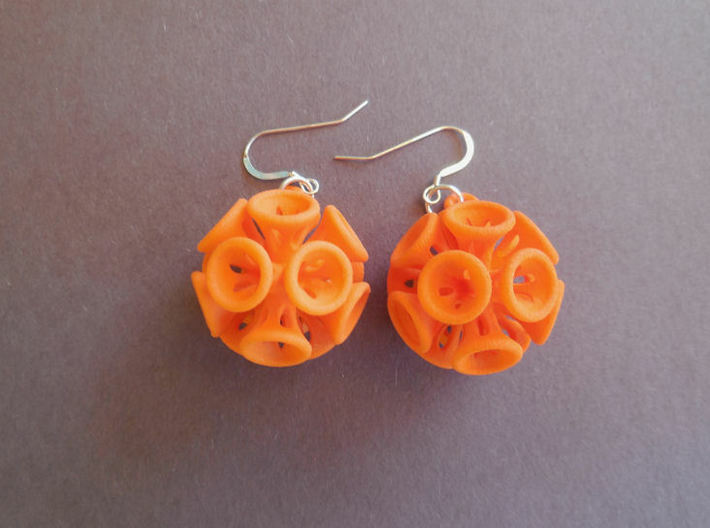 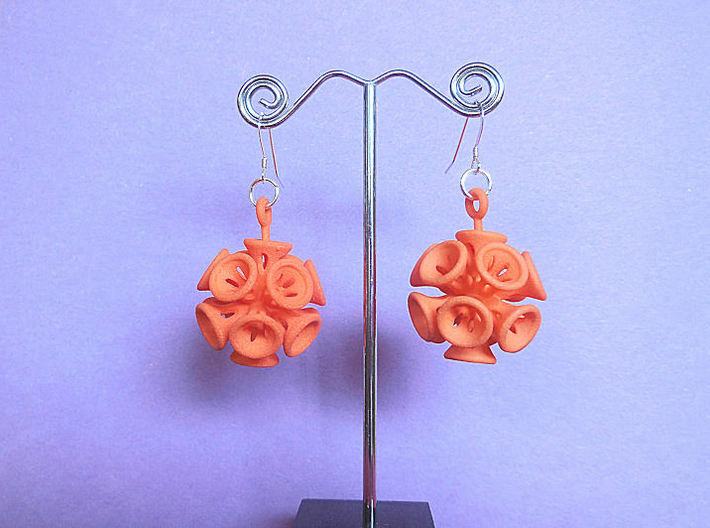 This is a pair of earings printed in lightweight plastic. 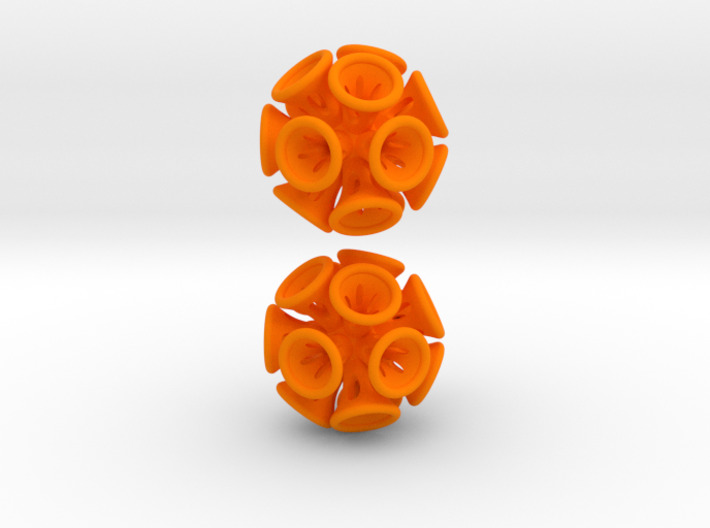 They have spherical shape with a heavily textured surface. The surface elements remind of suckers you might find on some sort of sea creature. 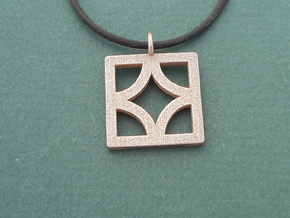 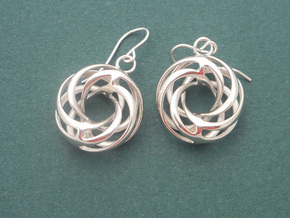 Each earring also reminds me of something you might see under an electron microscrope. 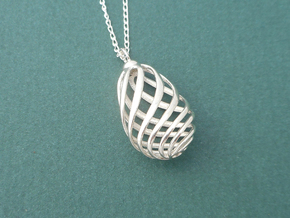 Then again, someone else told me they remind me of balloon ties. 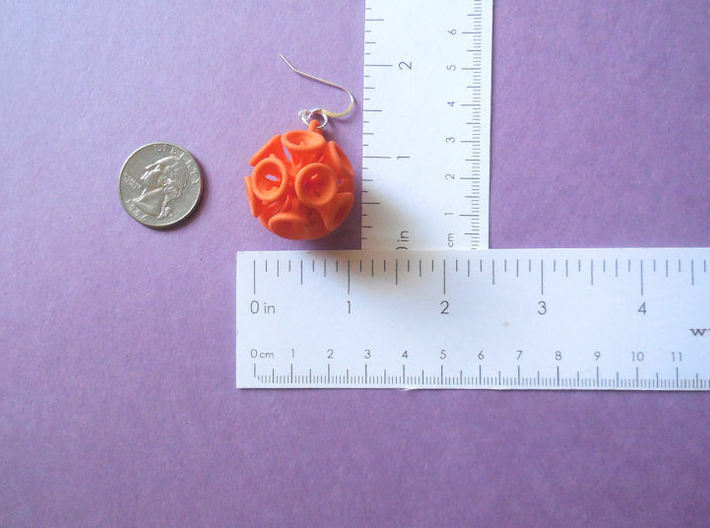 Check out my Etsy Shop for earrings sold with findings attached.